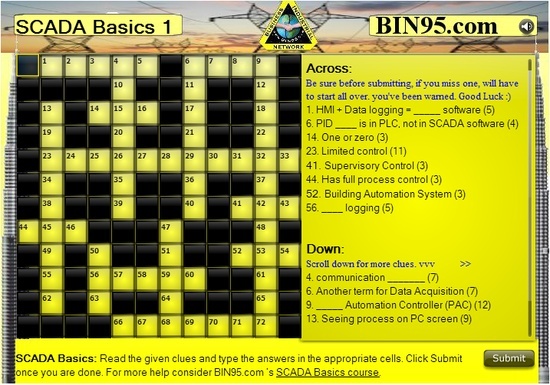 Most who view the source page below click on the link to view SCADA Basics Course sample PDF, once they get there. Be sure to share with others, they might appreciate it. Don’t Take #Numbers at Their Face Value. The 12% number sounds great at face value, possibly greater than it should. If you don’t know sample rate and demographics of those surveyed, it could be misleading, or even discredited. Actually the number by itself is typically perfectly legit … it is the words surrounding the number, or not surrounding the numbers, that can cause the number’s value/importance/validity to be skewed. Always consider the numbers origin and the big picture. The bottom line is the infographic can be useful to the viewer, regardless the percentage. Below is an example of an info graphic. Free Online SCADA Training Interactives. Click above to see the crossword puzzle and have fun.